The Games on Demand version supports English, French, Italian, German, Spanish, Russian. When a Mexican drug cartel bombs a U.S. law enforcement agency, the U.S. government puts together a special task force to bring them down. 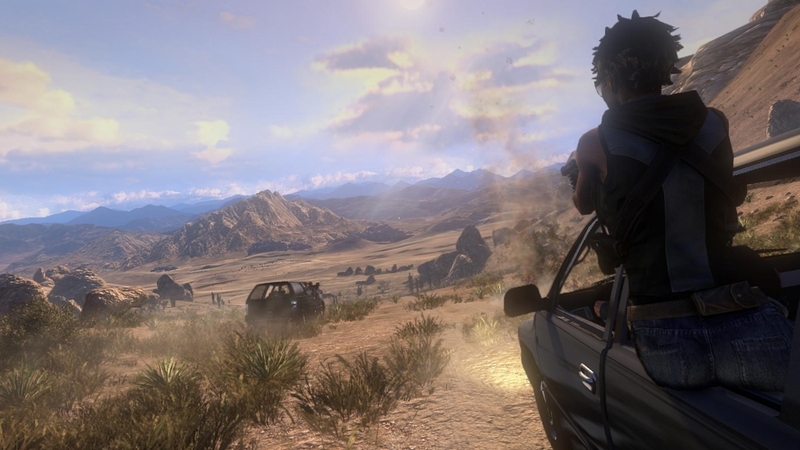 As you fight to dismantle the Cartel and unfurl the mystery of the bombing, you’ll embark on an epic, bloody road trip from the streets of Los Angeles to Ciudad Juarez. 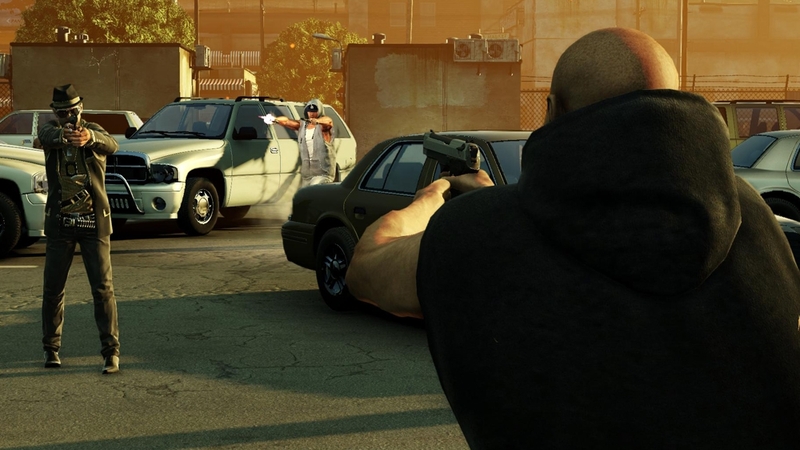 Protect your witness and put an end to the Cartel by any means necessary in this modern day Western shooter. 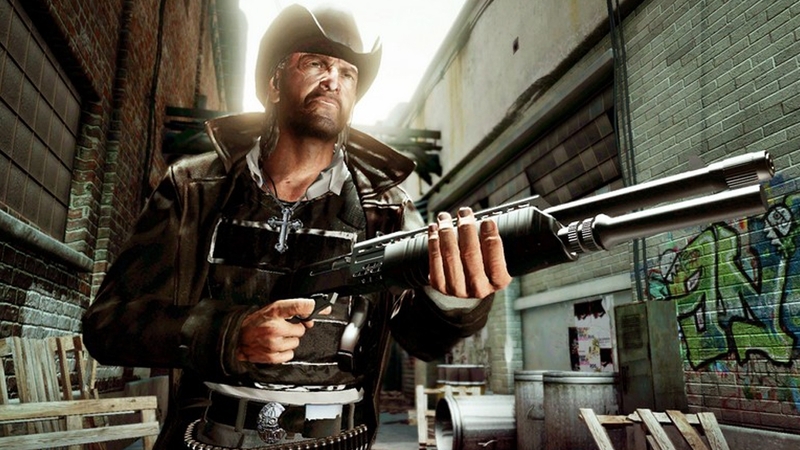 Immerse yourself in the Modern Wild West with this hat from the Call of Juarez: The Cartel collection! 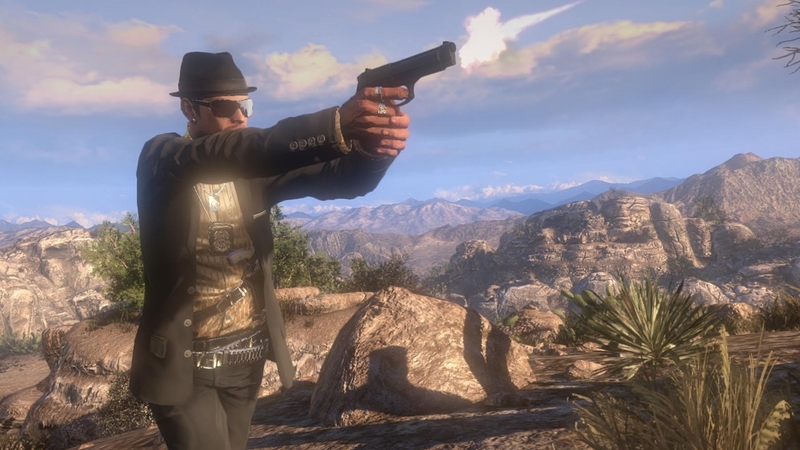 Become the head of the Mexican Cartel with this Juan Mendoza outfit. 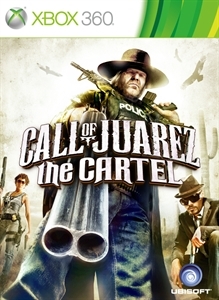 Part of the Call of Juarez: The Cartel collection! Capture the spirit of the modern cowboy and feel like a badass with Ben McCall’s cowboy hat, police vest, cross necklace, boots and more. Part of the Call of Juarez: The Cartel collection! No one is going to be able to gun you down with this heavy-duty police vest on, not even the Mexican Cartel. This item is part of the Call of Juarez: The Cartel collection! Short on funds? 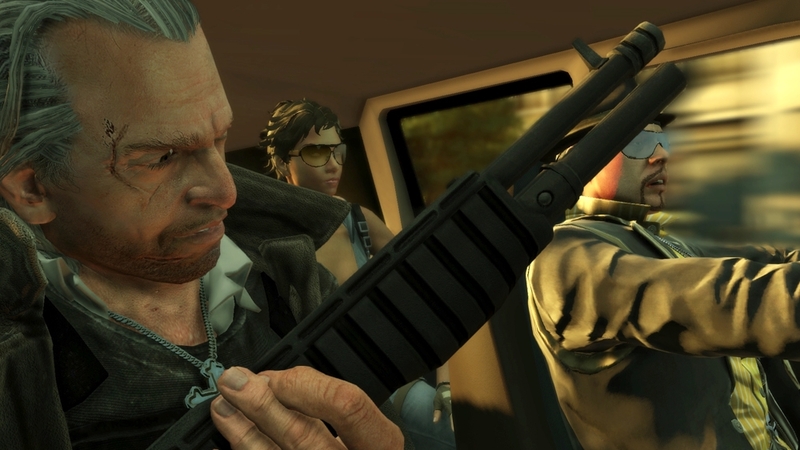 Pick up this briefcase full of cold, hard cash, from the Call of Juarez: The Cartel collection! Just make sure you don’t lose it. Experience the lawlessness of today’s Wild West with this hat from the Call of Juarez: The Cartel collection! Don this stylish outfit of slick talkin’ DEA agent Eddie Guerra with fedora, suit, sunglasses, and more. Part of the Call of Juarez: The Cartel collection! Let others know there’s a new sheriff in town with this Call of Juarez: The Cartel t-shirt. Grab this deck of cards from the Call of Juarez: The Cartel collection, and amaze your friends with different tricks! Show the boys that you don’t take crap from anyone with Kim Evans’ outfit, complete with a sleeveless hoodie, FBI tank top, boots, sunglasses and more. Part of the Call of Juarez: The Cartel collection! Let others know that the lawlessness of the Old West exists in the modern era with this Call of Juarez: The Cartel t-shirt. 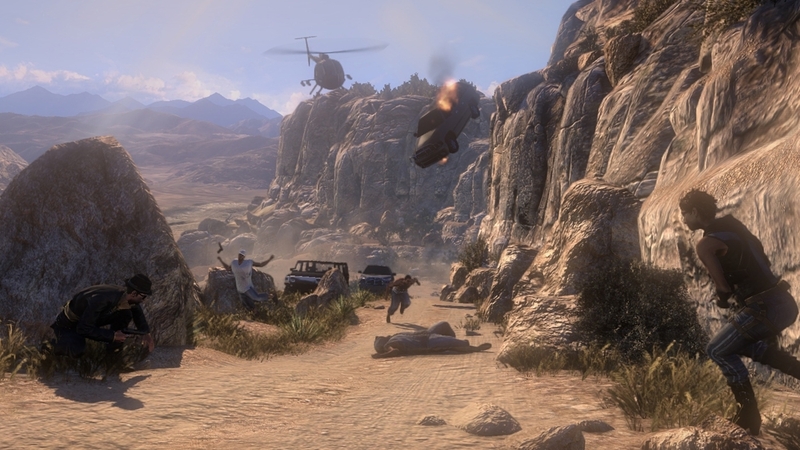 In Call of Juarez the Cartel, LAPD cop Ben McCall is forced to team up with DEA agent Eddie Guerra and FBI agent Kim Evans. Their Mission: Dismantle the cartel by any means possible. When a Mexican drug cartel bombs a U.S. law enforcement agency, the U.S. government puts together a special task force to bring them down. As you fight to dismantle the Cartel and unfurl the mystery of the bombing, you’ll embark on an epic, bloody road trip from the streets of Los Angeles to Ciudad Juarez. 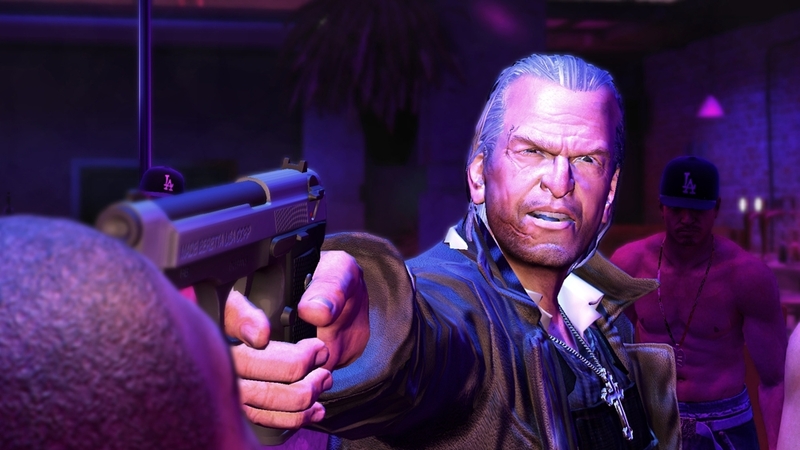 Protect your witness and put an end to the Cartel by any means necessary in this modern day Western shooter.